We have discovered this wonderful cycling holiday that kicks off in Belgium and leads up through the Netherlands to Amsterdam. Recurring themes include historical architecture, pastoral countryside, and water vistas. In eight days, as you pedal this cycling paradise, you will discover places you would not see if traveling by car. 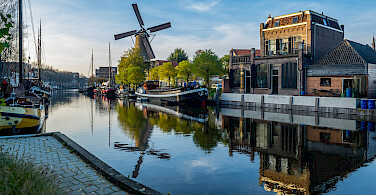 Starting in Bruges, you will go through the most picturesque towns in the Netherlands and Flanders, remarkably well-preserved and evocative of centuries past, and end your tour in Amsterdam, the Venice of the North! 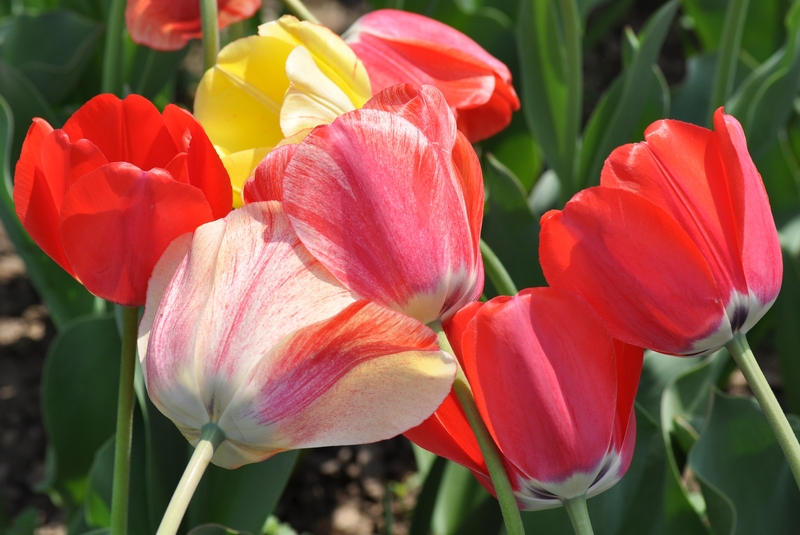 We also offer this tour with Amsterdam as the starting point. Ask us! 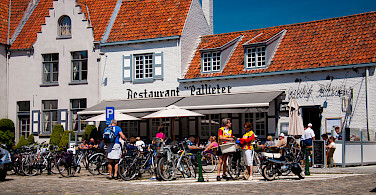 Want to see more bike tours in the Netherlands or Belgium? *Road bike is available for rental. Please ask. Fly to Amsterdam Schiphol International Airport or Brussels International Airport. Whether your arrival is the Amsterdam Schiphol Airport or Brussels International Airport, you will need to take a train to Brussels Central. Both airports have a train terminal. From Schiphol, the ride is about 3 hours and costs approximately €45 per person. From Brussels airport, the ride is less than 20 minutes and costs around €10/person. From Brussels main station, the train to Bruges is only 1 hour and costs around €20. Premium emergency service is included with this tour. In the event of mechanical failure, a support van service can be contacted and will come and repair the bike free of charge. If you are cycling with your own bike, you will be charged for any new spare parts. If the bike cannot be repaired on the spot, you will be provided transportation to your next destination. Two people plus bikes can be transferred. This is an easy, self-guided tour on one of the most well developed cycling path systems in the world. You will ride 200 miles (320 km) over 6 days of cycling. The route is predominantly rural and flat and passes through a number of nature reserves. 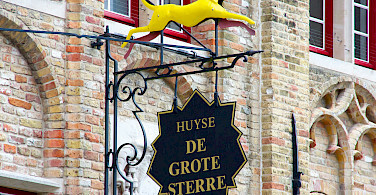 Bruges is known as the pearl of Flanders. It is truly an enchanting town that has been welcoming tourists for about 150 years. With most of its medieval architecture intact, it remains exceptionally well preserved and can really give you a sense of times gone by when it was at the center of the European wool and cloth trade. 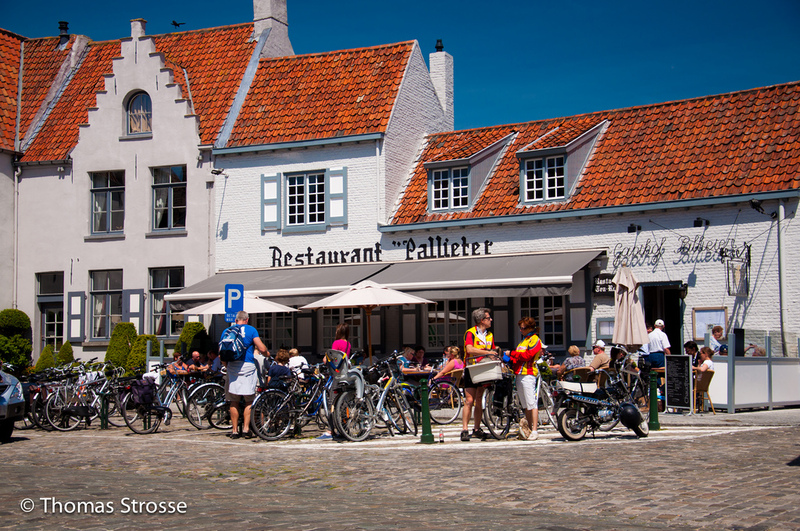 After a hearty breakfast, hit the tracks and pedal to the charming little town of Damme on the banks of the Damse Vaart. Then continue to the border and enter Zeeland, a Dutch province marked by light, wind, water, and lots of space. It is mostly made up of islands so bridges and ferries will be taking you across the waters as you drift northeast. 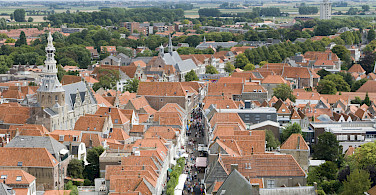 Picture-book towns with ancient houses and cobbled streets But first you will pass through Zeelandic Flanders with its winding country roads, pollard willows, wet meadows and scattered villages. 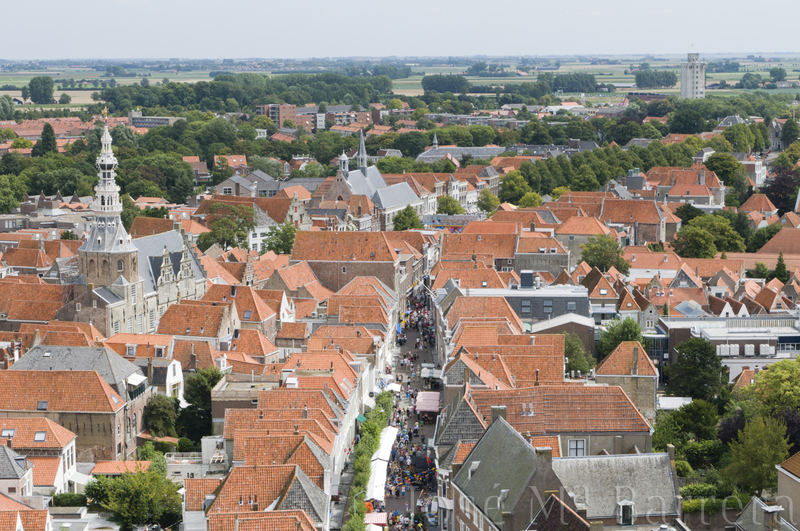 Your hotel for the evening is located in Middelburg however, it is possible to book an upgraded hotel in the coastline town of Vlissingen for a supplement. 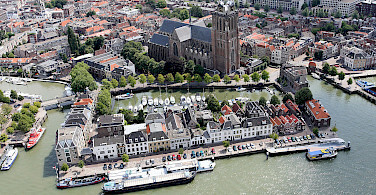 Today you will discover the nostalgic splendor of the city of Middelburg. 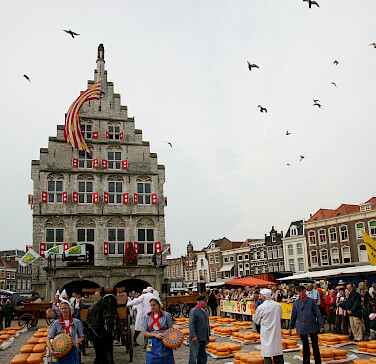 In the 16th and 17th centuries it was one of the most important centers of trade in the Netherlands. Next on the agenda is the charming village of Veere. From 1541 everything that was exported to Holland from Scotland (mainly wool) came ashore and was distributed from Veere. This contract brought the town not only prosperity but also a very lively Scottish expat community that stayed for 300 years. Walk in their footsteps as you take a tour of the sights. 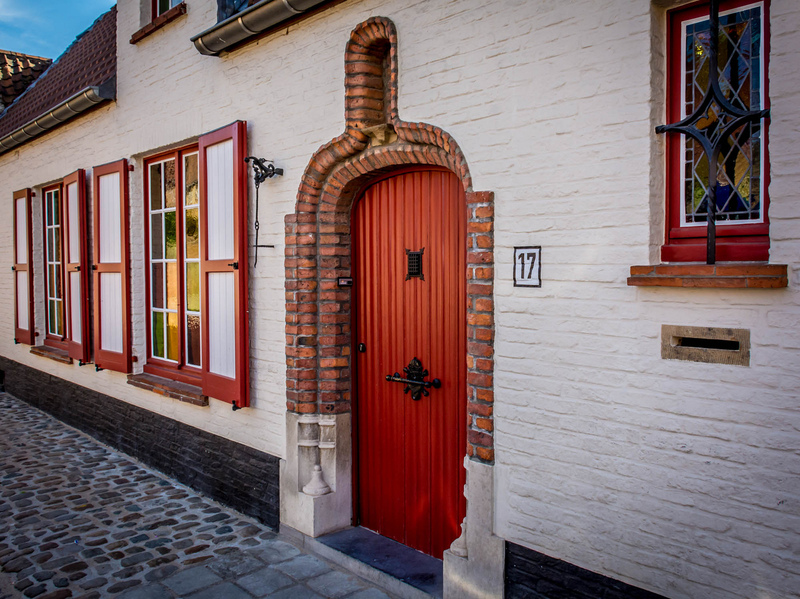 A wander down the narrow streets of Zierikzee is an absolute delight. 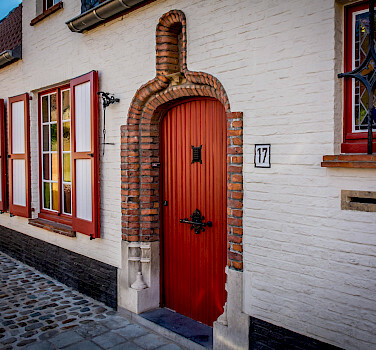 Quaint old houses take you back in time to the town's glory days when ships set sail for the Baltic and Mediterranean to sell salt, wool, fish, grain, and red dye. 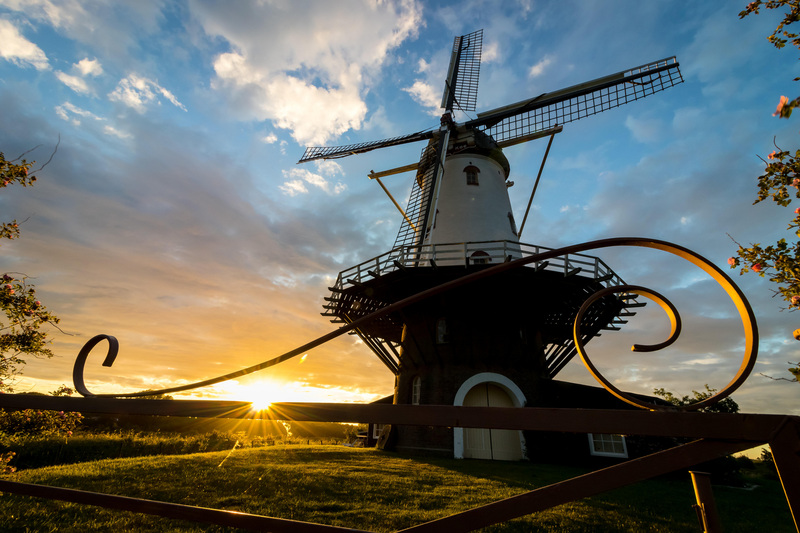 Today, your last day in Zeeland, you will traverse a patchwork landscape of vast polders, idyllic countryside, rolling dunes and golden sand flats. 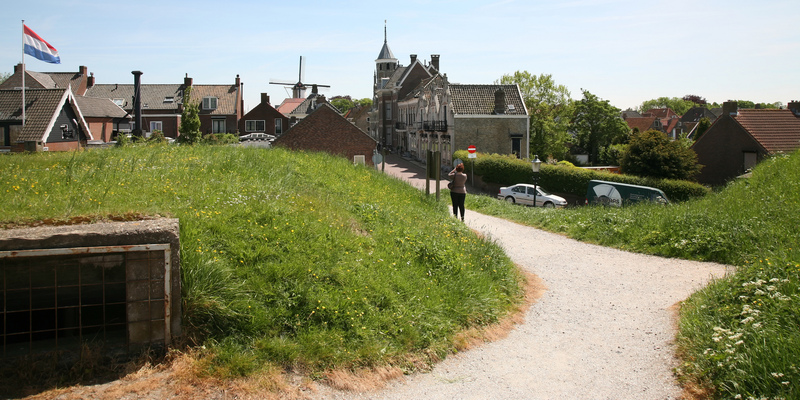 Your day will end in Willemstad, a fortified town shaped like a seven-point star. 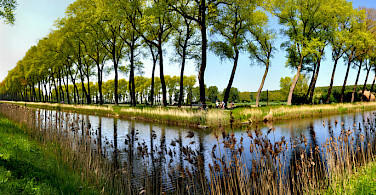 ​The result of a major flood in 1421, Biesbosch is one of the few remaining wetland habitats in Europe where the ecosystem has adapted both to saltwater coming in from the sea through tidal creeks, and to freshwater coming down in the rivers. It’s an ever-changing labyrinth of creeks and riverlets encompassing countless little islands of willow woods and reeds, a paradise for birds. 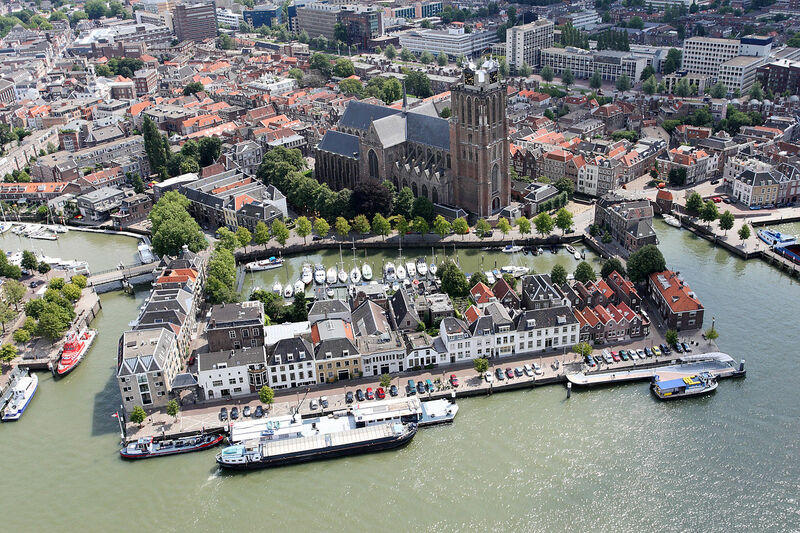 Pedalling on, you will reach one of the oldest towns in Holland: Dordrecht, completely surrounded by water. The area around the marina is a true gem. 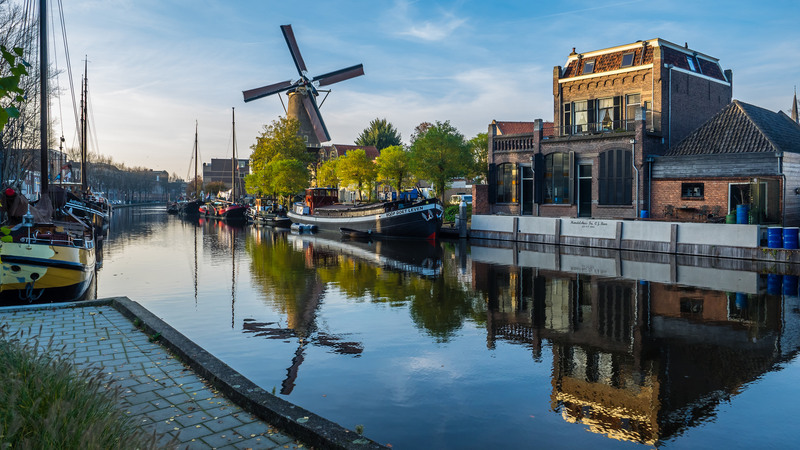 This oldest part of town counts over a thousand historical buildings and three nostalgic canals. 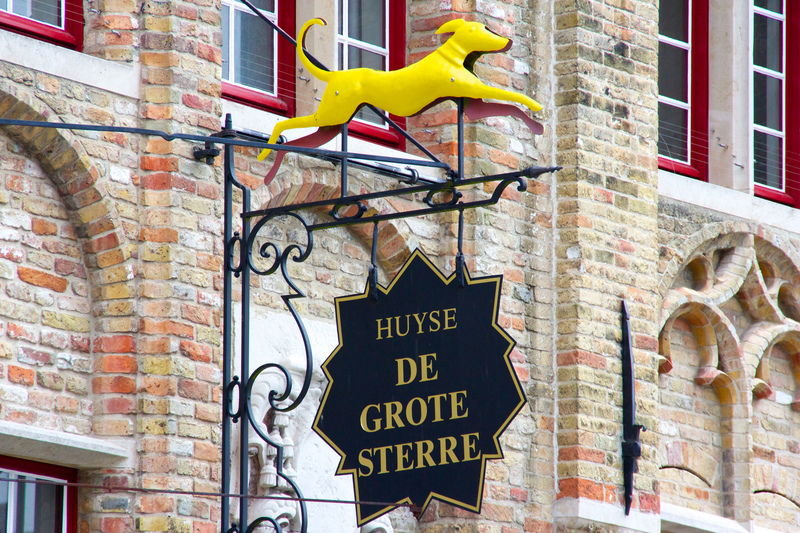 The hotel is in Papendrecht, but if you like to stay in Dordrecht this is possible, you can upgrade to ****Hotel Bellevue Groothoofd, right in the old center and on the crossroads of 2 major rivers. 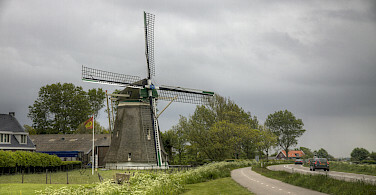 Today's route leads to the village of Kinderdijk where nineteen majestic windmills present a unique sight. They were used to drain excess water out of the low-lying polder up into the River Lek. 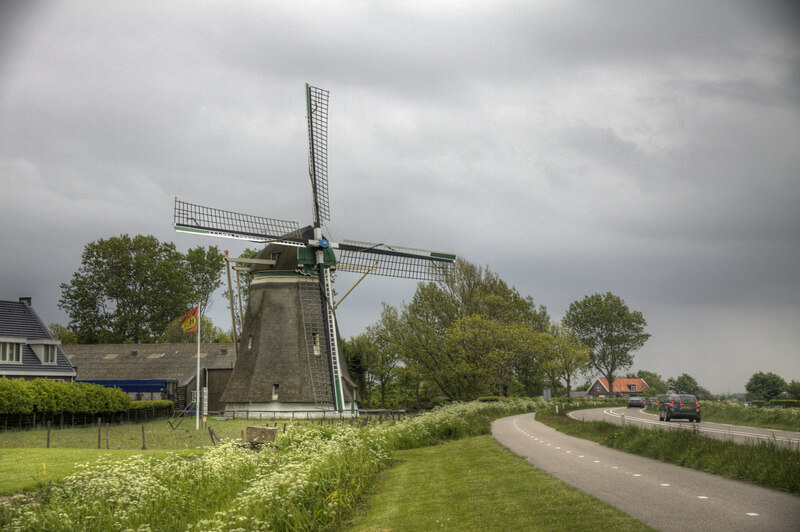 As you ride your bike towards Gouda, cruising at about two meters below sea level, enjoy pastoral countryside and wonderful cloudscapes. 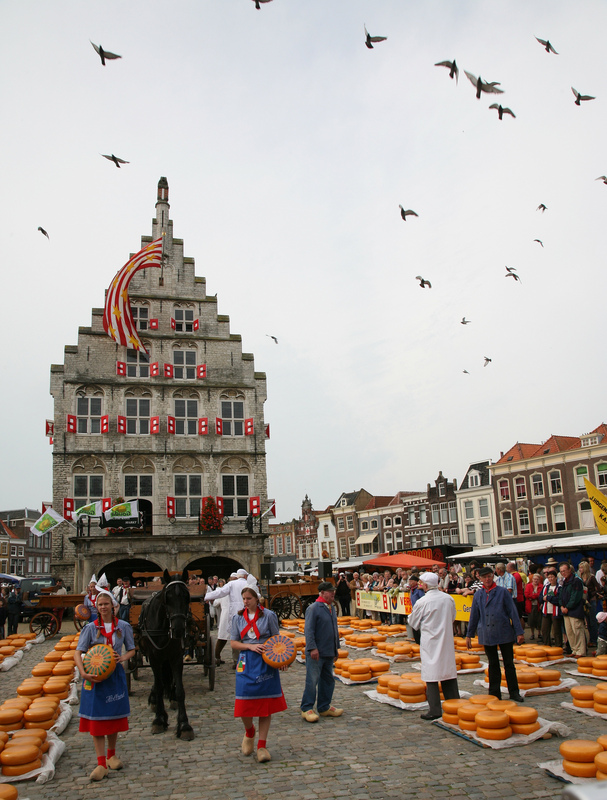 For centuries, people flocked from far and wide to buy horses, cows, meat, turf, seed, cheese etc., at weekly and annual markets in Gouda. 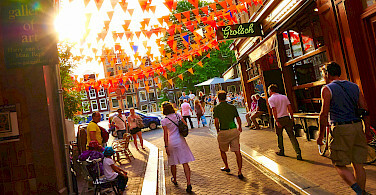 We recommend a stroll around the old part of town to soak up the yesteryear atmosphere. Walk all the way around St. John’s church and the market square boasting a 15th-century town hall and a Weighing House (“Waag”). 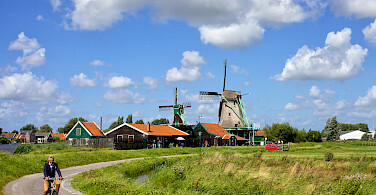 Plunge into the “Groene Hart” (green heart), a pleasant rural area of low-lying polders with peat meadows and grazing cattle. 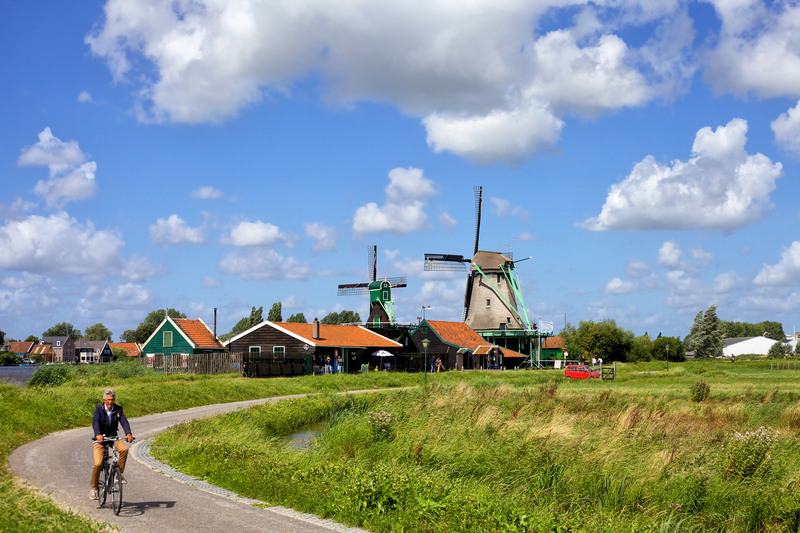 It’s a flat, open, spacious landscape where church spires and windmills touch the horizon and clouds are reflected in lakes and canals. 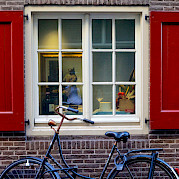 Your bicycle holiday ends in Amsterdam, famous for its gorgeous 400-year-old canal district. This city is brimming with things to see and do. As always, street artists and performers draw crowds on Dam, Leidseplein and Rembrandtplein. 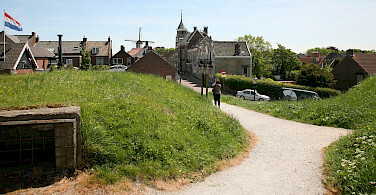 A new attraction is “Het Grachtenhuis” (Museum of the Canals). You'll also want to visit the newly renovated Rijksmuseum and Maritime Museum? 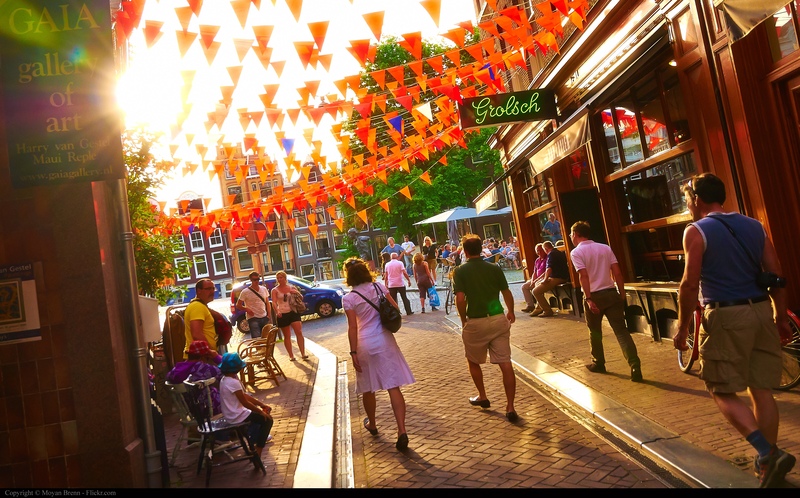 **If this day is too long for you, you can actually change the itinerary and spend an overnight in Woerden (30 km) and then continue on to Amsterdam (48 km). End of tour, after breakfast. 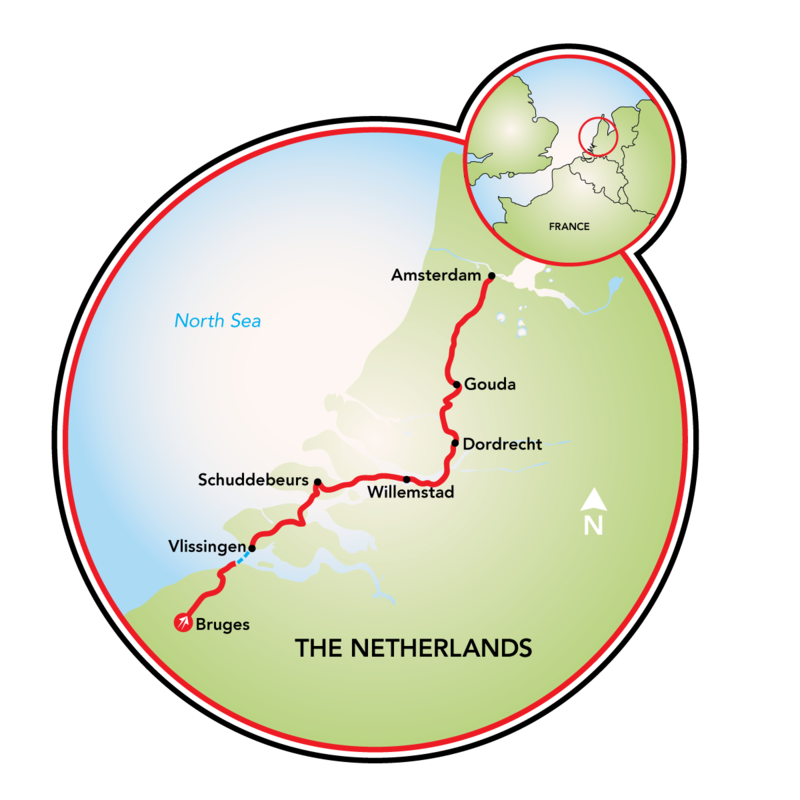 This tour is run by Dutch Bike Tours. - I had to reschedule our trip after initially booking. 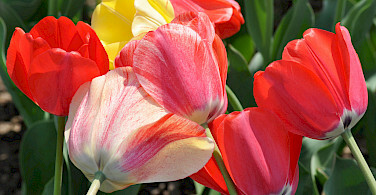 Tripsite staff were super helpful and I was relieved at how easy rebooking was. - Our original itinerary had a mistake that had us riding 100km miles the first day and 10km the second day. It was fixed after we pointed out the issue. - The route was very pleasant and well-paced. The most memorable part: The views and experiences we shared together as we ride along. The most memorable part was biking into Schuddebeurs in Holland after a long but beautiful day of cycling to discover we were staying in the most beautiful inn in a lovely village setting. Loved the trip. GPS wasn't dependable all the time, especially in Amsterdam.